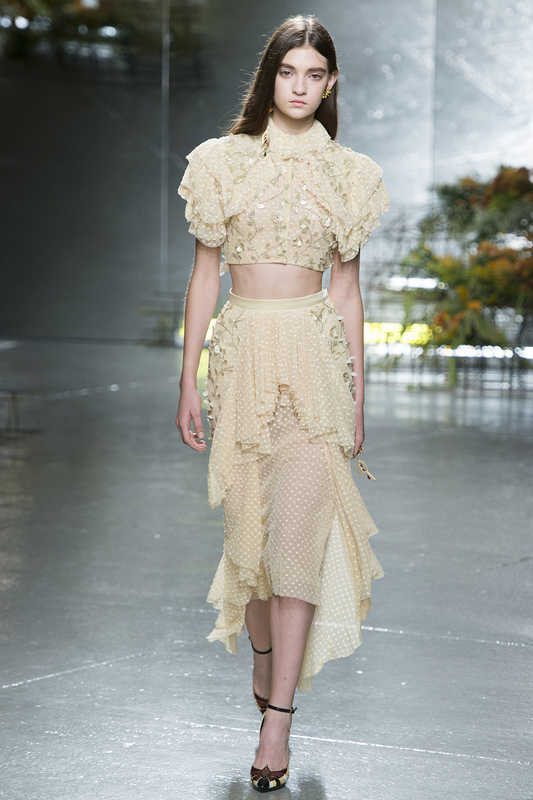 Rodarte SS’17. Image courtesy of Vogue. 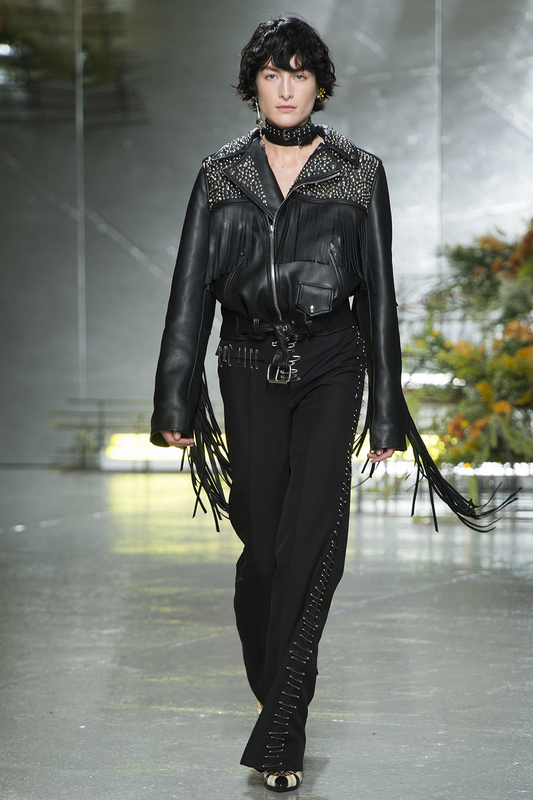 On September 13th, Laura and Kate Mulleavy, showed their latest Rodarte collection during New York Fashion Week and it was a little bit country, a little bit rock n’ roll, and all about tiny stinging insects. While not obvious on first sight, the bumble bee reference was apparent once named. Honeycombed shaped mesh layered with beaded tulle while black and gold paired together for looks fit for the ultimate queen bee. Florals made several appearances, in prints and unexpectedly, in perforated leather while safety pins added sharp detail to side seams. 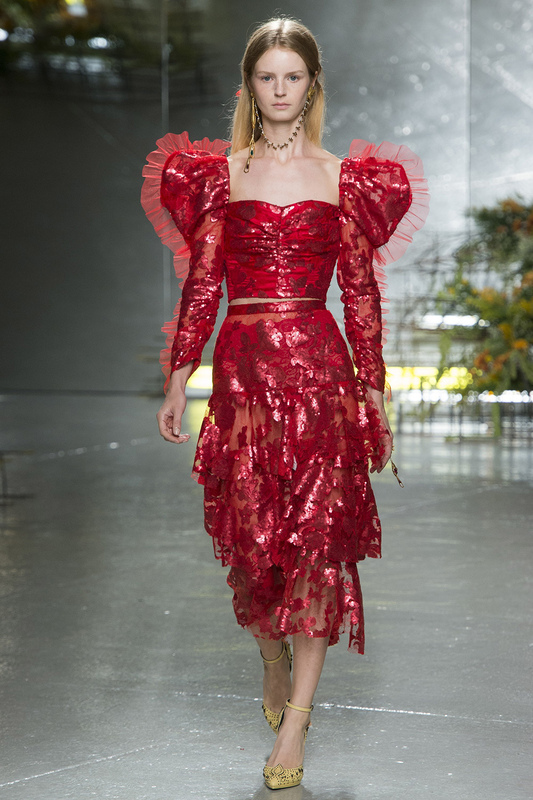 The Mulleavy sisters could be called the queens of embellishment, this season they didn’t spare a single detail – rings and ear cuffs also featured bee and flower motifs.